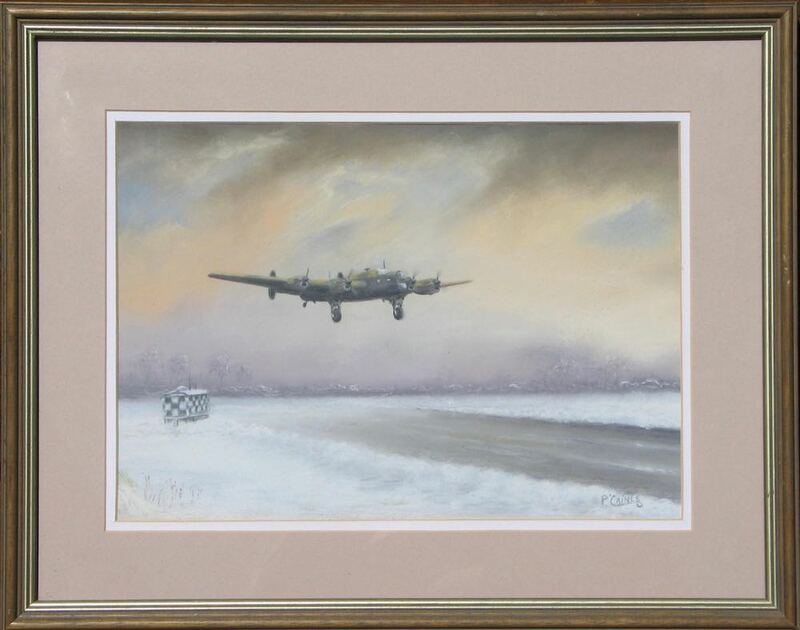 This superb original painting shows a RAF Handley Page Halifax bomber coming in for a landing after a dangerous bombing mission over occupied Europe during the Winter of '44. The Halifax was a British four engined heavy bomber developed by Handley Page to the same specifications, as the Avro Lancaster and the Short Stirling. All three aircraft being heavy bombers used by the RAF during the war. 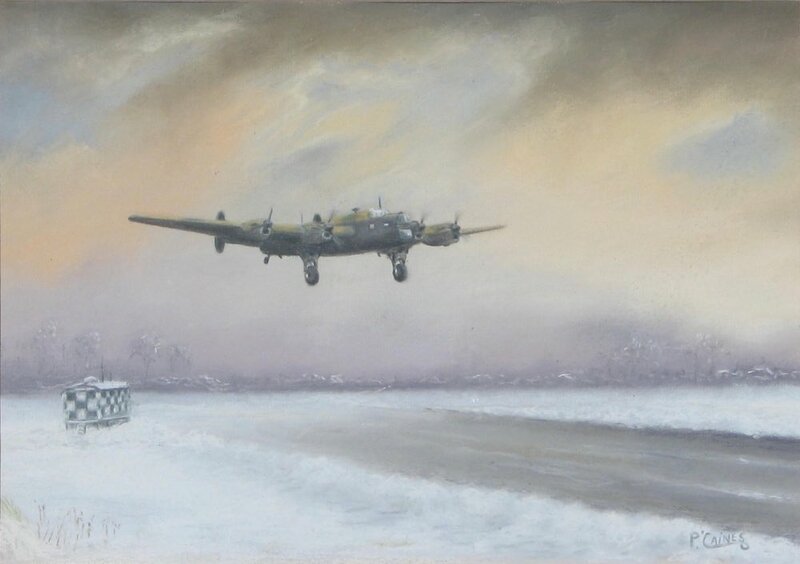 This beautiful painting would make a fantastic gift for any WW2 Veteran or Veteran's family member, especially for those that flew during the war. Approximate Image size: 13.5" x 9.5"
Approximate Framed Dimensions: 19" x 15"